← I’d Rather Be, II. My TV is small and my Library overflows. Yay me? This entry was posted in Books / Reading. Bookmark the permalink. My TV is off. My books are on the bookshelves. And I am listening to a recorded book stored on my iPhone. Thus, I am constantly on the phone. Looney recently posted..Escape from San Francisco? No wonder you are always “engaged”. Not for you, I am not. Ursula, that response is from me to you. In my case, it most certainly is! 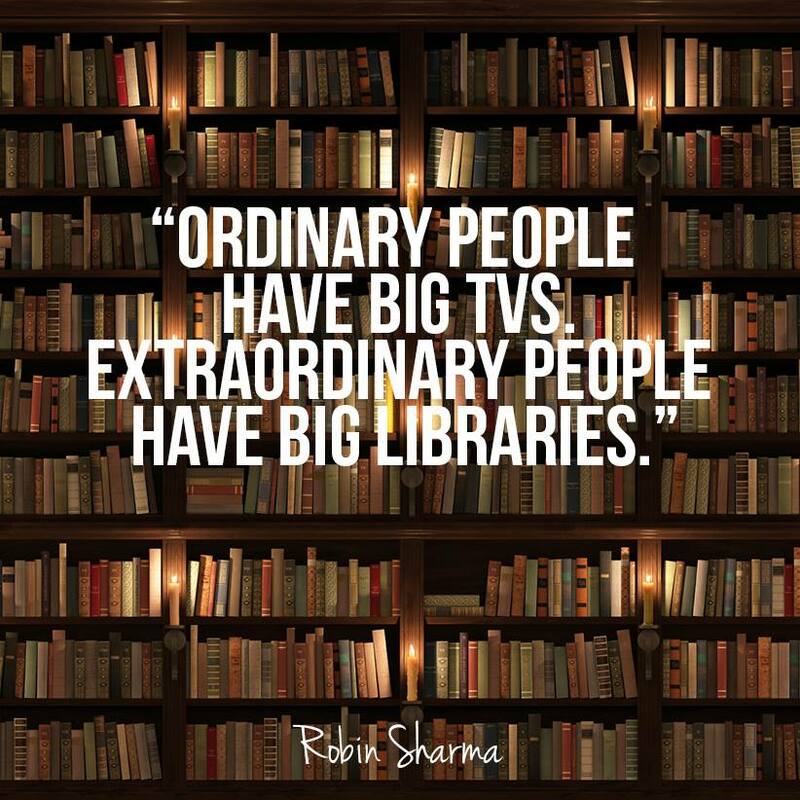 I have a big library but I wouldn’t say I’m extraordinary. Just someone with an active imagination who needs books to feed it. TV certainly doesn’t feed the imagination, it mainly confirms all the popular clichés and prejudices and leaves the imagination dormant. Oh, Nick, always always painting everything black and white. It’s NOT books good, TV bad. You will find a lot of garbage on the written page, just as some extraordinary TV productions open up worlds beyond our imagination, to name but one: David Attenborough and the amazing glimpses he gives us into nature beyond our own garden gate. Then there is history, and and and and and … Sure, if you refer to soaps, day time TV (whatever that is) and “reality” shows, then no TV is better than a bad book. Ha. Coming from the person who says men are men and women are women and ne’er the twain shall meet…. Thanks for the laugh, Nick. You really are something else. Instead of, for once, acknowledging that yes, maybe, just maybe, you do tend to belong to the “ain’t it awful” (‘it’ usually being other people) brigade you turn round like a cornered rat which has run out of an escape route – making an irrelevant comment.. Anyway, when and where did I say that the twain shall never meet? Still, to comfort you: I nearly derailed yesterday evening as some twain met – between me and an apparition. One which – no doubt – you with your curious appetites would have appreciated: A huge bloke in a dress, massive make up, sky high heels. He may have aspired to be a woman and he sure was a beauty in his own way but, truth be told, if he’d taken a dislike to me my jaw wouldn’t have stood a chance. Don’t be so modest Nick! For some reason I have taken a total dislike to the expression “yay”. I know Jean uses it all the time (which doesn’t make it any better). There is a sort of lack of expression in ‘yay’ which disappoints.. Even a dog yelps better. So, my dear Ramana, not yay, but NAY. 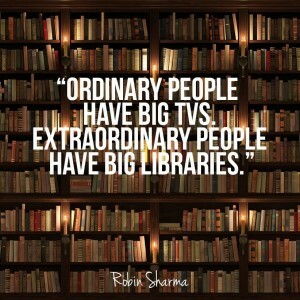 You are right, I too know extraordinary people with vast libraries. What makes them [the people] extraordinary that they use books as wallpaper rather than as polyfiller for their emaciated brains. Reminds me of people who travel to, say, Luxembourg (as did I) arriving at night, getting stuck the whole of the following day in Hotel (albeit star studded – the hotel – not the sky), leaving Luxembourg the following evening (in the dark) and flying back to wherever they came from. Now some jokers will claim they have been to Luxembourg, therefore implying they have seen it and ‘know’ Luxembourg. I don’t though – technically – I was, yes, in Luxembourg. YAY! Anyway, I far prefer the honesty of the likes of Grannymar who holds no store by the book ridden and makes no secret of it. YAY, Grannnymar. I’ve donated most of my books to a community library I founded. Does that count? And of course no teevee now for over 25 years. You are exceptional. You are not extraordinary. Keith, but you have something more that many of my readers and I would dearly like to have. Your passion and lifestyle. If you are ordinary, I must be the pits! I have to confess I have both and even plan to get a bigger TV. There are so many good films I would like to watch, they are typically not screen those days, not in Sydney anyhow. The picture is wonderful, even if I lately got a better storage for my books, such shelves like on the photo are my dream. If I had the space, say like a country mansion, I too would be delighted to build a library like that, but my choice of TV would still be for something functional. I have got hooked to seeing films in theaters. I don’t have a big library because I buy a lot of books, then pass them on to Friends of the Library. I do watch TV programs via Netflix because they’re great entertainment while I exercise. I’ve always loved books but had to pace myself because of my chronic eyestrain. Reading on my big computer monitor is a lot easier because I can make the words big and stand back from them. My eyes have an easier job of focusing, so it has been a real blessing. I am getting there too as far as the eye strain is concerned and I have to ration myself. I do have some books, one of these days I’ll count them. There are only three or four unread, the remainder have been read, marked and inwardly digested! That does surprise me. I knew that you read but did not know that you kept some books too. I seem to remember you saying that men and women were hard-wired to behave in certain ways. But I may have mis-remembered. As for the dolled-up guy – are you by any chance saying “Ain’t it awful”? That was meant to be a reply to Ursula. No idea how it got separated. Yes, I too prefer reading to watching TV. Seeing movies however is still a good pastime.